Hey Dude! You See Him? scary! !but nice snap.back to the zoo? Almost like clones! Beautiful capture. Thanks for the comment and welcome to my blog. 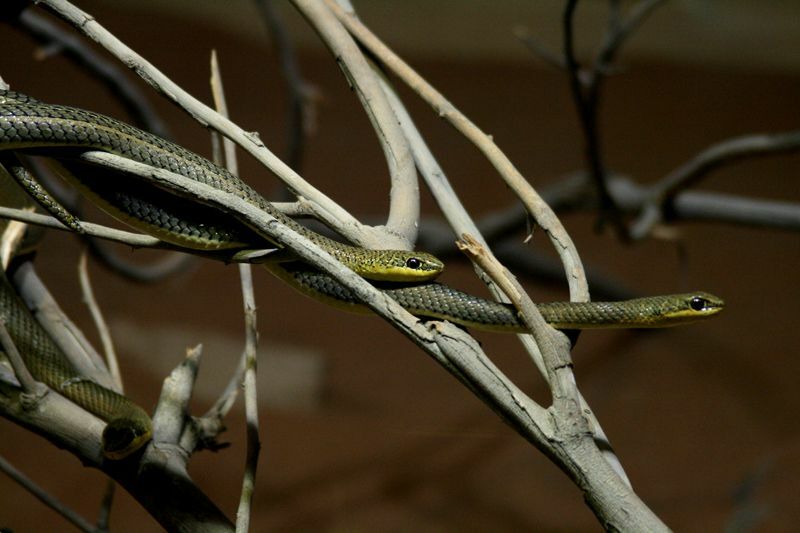 I took this snap in Al Ain zoo and there were few more snakes inside the same glass cage. Looks like innocent snakes. Am I right? or are they poisonous? Yes K, I think they are not poisonous. Thanks aufidius and welcome to my blog. Thanks for the comment Pavithra. Welcome to my blog!